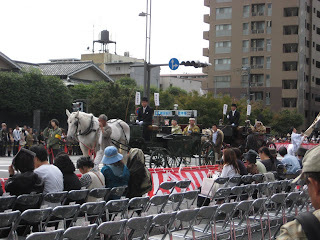 The Jidai Matsuri (Festival of the Ages ) was held on 22nd of October. The festival held annually on the same date. It is one of Kyoto's renowned three great festivals, with the other two are the Aoi Matsuri, held annually on May 15, and the Gion Matsuri, which is held annually from 17 to July 24. 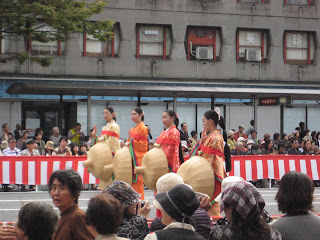 It is basically a historical costume parade, where people dress up in traditional clothes fromdifferent period. They close the streets about 4.5km in central part of the city and the parade start from the imperial palace to the Heian Jingu Shrine. The whole length of the parade reach up to 2km. 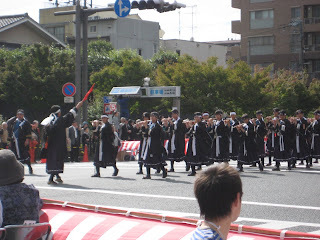 These are the photos we took from Oike street. Last night, we had Koto concert at the Lobby. 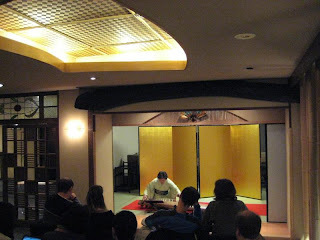 All of us enjoyed elegant Koto music at beautiful Autumn night. There will be another concerts coming up very soon. It is free of charge and open to anyone. Please bring your friends and enjoy the night. Greetings to all our readers, I started working at the reception from last September. From now on I am going to update our English blog. There is a very strong Typhoon approaching to the main island of Japan. According to the news, if the Typhoon approach without decrease its power, total amount of rain it will produce will be same as what Japan gets in half year. For those guests staying at 16th October, there will be Koto (Japanese harp) concert at the lobby from 19:30~20:00. It will be free charge and anyone is welcome (even if you are not staying at ours) so come and listen!